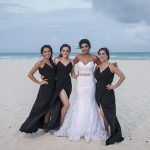 I was really nervous about hiring someone in Playa Del Carmen without meeting them in person or having a trial with them months before the wedding, but Doranna’s portfolio and reviews were impressive. It was also great to find someone that did both hair and makeup. Through our email communication I could tell she was professional and her replies were always prompt. But meeting her in person was even better than I expected. 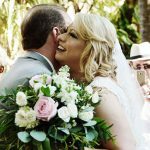 She has such a sweet personality and made me feel very SPECIAL and comfortable on my wedding day. Her hands are magical because curls in my hair don’t usually last too long and this day they were intact throughout the night and into the next morning. I can write 10 pages of how wonderful she is but what I really want to say is that thanks to her she made me feel the way I wanted to feel that day: a beautiful bride! 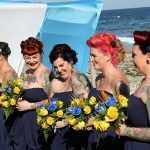 My friends, and most importantly my husband had many compliments and couldn’t stop talking about how great my hair and makeup looked. 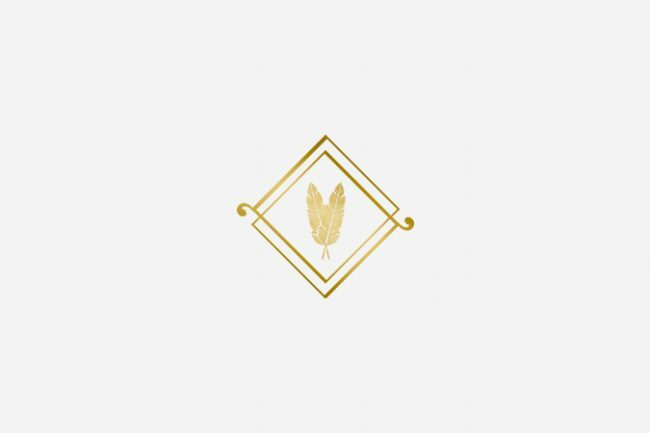 I can tell from her work and attention to detail that she is passionate about her job and her priority is to make sure you are a HAPPY bride, needless to say I WAS! Adriana, thank you for trusting me with your wedding fairytale. 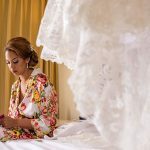 Playa del Carmen was the best destination wedding spot for your big day. 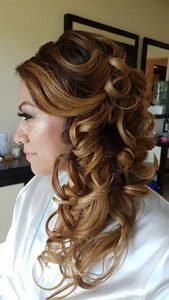 It was an honor to do your bridal hair and makeup and to be a part of your wedding fantasy!